We’re excited to announce our “Taste, Choose & Bottle Your Own” Cask Strength Bourbon and Cask Strength Rye release event! Signup for your 15-minute time slot to come into the distillery and taste directly from 3 different barrels we have selected from our warehouses. Choose your barrel(s) and then fill your own bottles directly from spigots which will be drilled into each barrel. Decide whether you want to filter out the barrel char as you fill your bottle, or leave it for a true “straight from the barrel” experience. You will write the barrel number and whiskey proof directly on your bottle, cork it and seal it! 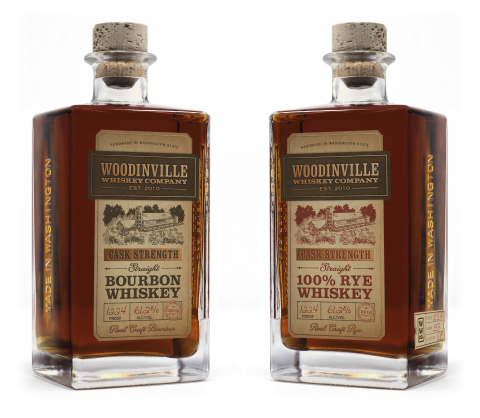 The Cask Strength Bourbon Release will be September 9th and 10th, and the Cask Strength Rye Release will be September 16th and 17th. Each time slot has 4 spots available. Price will be $69.95 per bottle with all taxes included and the limit is 2 bottles per person for each release. We expect each barrel to be between 121 and 123 proof. There are limited time slots available so be sure to click the links below and signup now! We are also excited to finally announce the 2017 Harvest Release of our Toasted Applewood Finished Straight Bourbon on Saturday, October 7th at 7am here at the distillery. More details to come, but a sneak peek here of the handmade apple crate that will be given to the first overnighters and early risers. 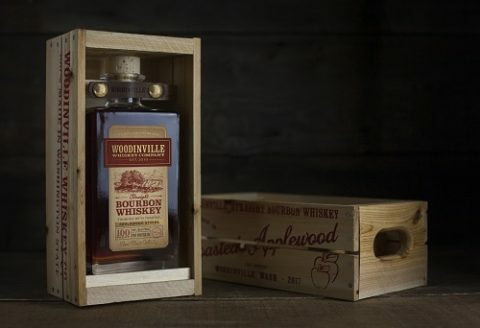 This whiskey will be bottled at 100 proof and is also priced at $69.95 per bottle with all taxes included. Finally, we have set a tentative date of Saturday, November 18th for the release of our Port Finished Straight Bourbon Whiskey. More details to come as well. Thanks and we look forward to seeing you for these new product releases! Please let us know when the Port finished Bourban will be released. We are coming to Washington to drop off our son off at St Martins this coming week and would love to stop by your distillery and taste some of your bourbons. I understand your company is somehow connected to Moet Hennessy and I represent MH products in Hawaii. I am employed by Pacific Wine & Spirits of Hawaii. Let me know if there is an opportunity to come by net week Saturday, September 2nd. Can’t wait..and keep up the great work. This is a fantastic whiskey and I’d hate to miss out on it. I helped bottle the vodka one night it was a great experience.